Custom links, unlike page links, redirect users to another website. 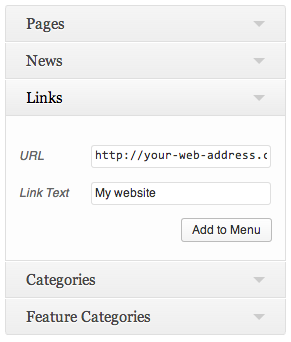 Note: You also need to use custom links to link to internal media files. URL – The address of the website you want to direct users to. Label – The title of the menu item in the navigation.